If you often change your skin and do not want to constantly look for new one, then this skin pack deserves your attention. The archive contains 14 skin packs that have been collected from a completely different games or popular events. 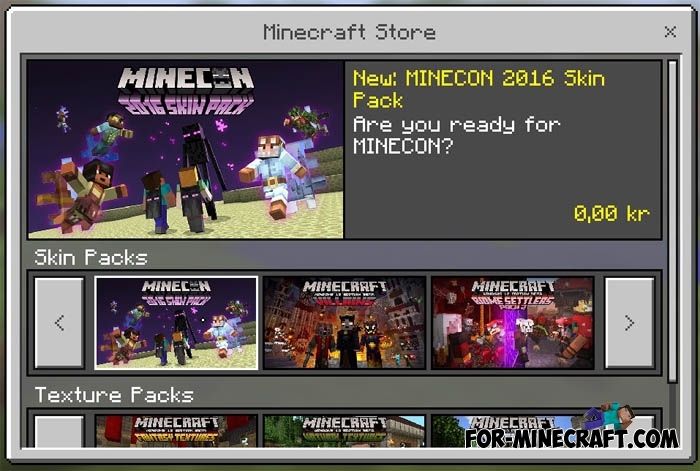 For example, 30 beautiful StoryMode and Minecon skins. There are more than 200 different skins for any version of Minecraft PE. Now you do not have to dig into the internet to download any suitable skin.